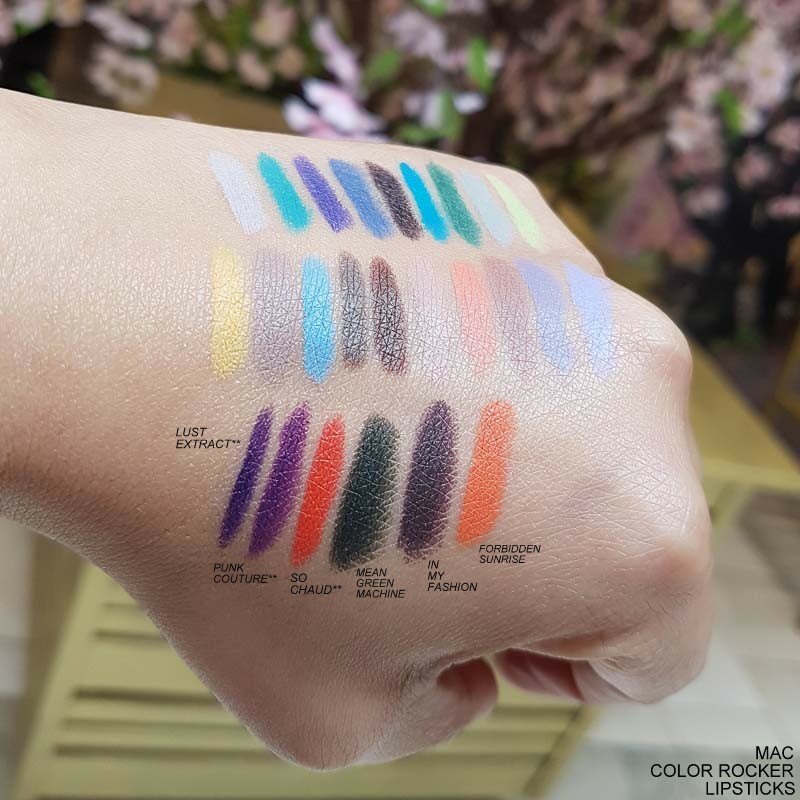 MAC Colour Rocker Collection is aimed at those who love bright pops of color and aren't shy about adding bold splashes of color in their makeup routine. 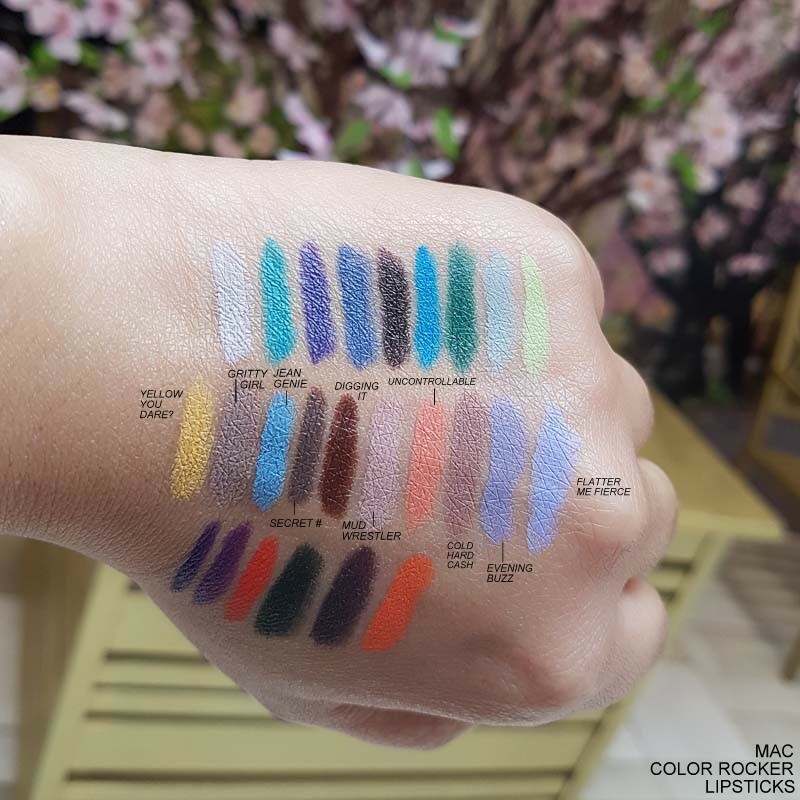 I am not going to claim these are my sort of colors, but there are enough neutral lipstick options among the regular MAC (and other brands) lineup so a collection that focuses on more edgy colors like these is a welcome change. 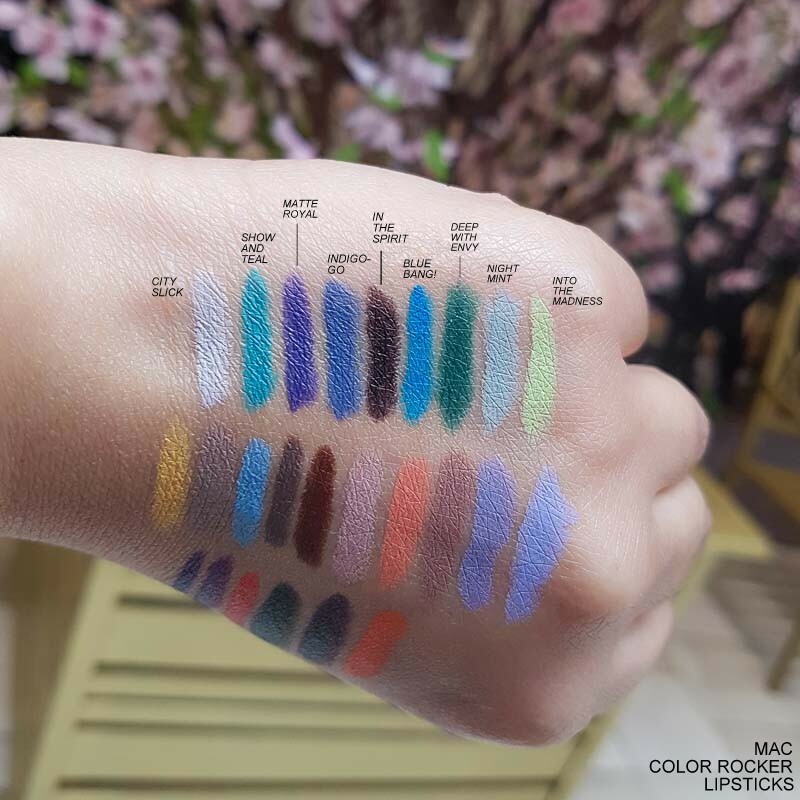 While the teals and lavenders might not be something I can carry off, there are some bright pinks and reds in this collection that should be perfect for spring/summer. 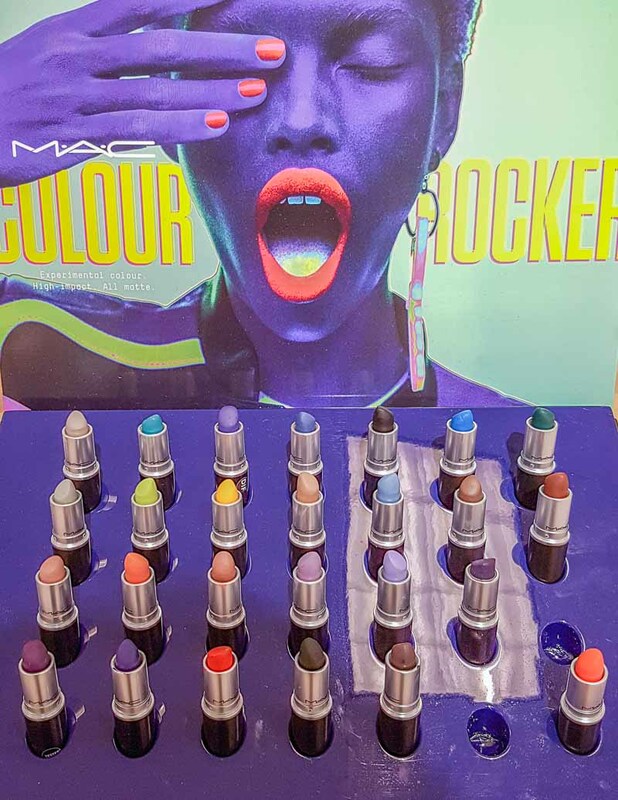 That said, I love the matte formula and the rich pigment in these lipsticks, and if I had to wear a brighter shade of lipstick, I would opt for this kind of a formula. Most of the colors seem to glide on smoothly and deliver even pigment, though of course, I amn't sure how they would translate on the lips.